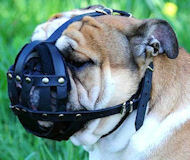 It is known that Bulldogs are sometimes difficult to train. When you walk them, they can become overexcited and far too energetic that it is making it hard to have complete control over them. 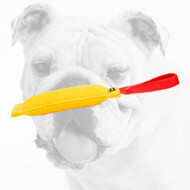 This means that you should be very careful when choosing dog items. 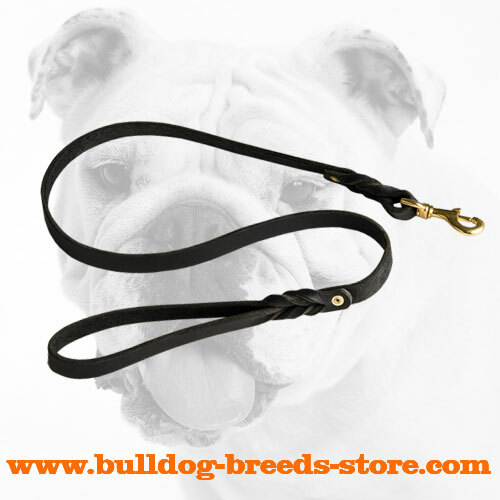 We believe that the most important thing for walking Bullies is a leash and on this page we would like to tell you more about our New Extra Durable Leather Bulldog Leash for Walking and Training. 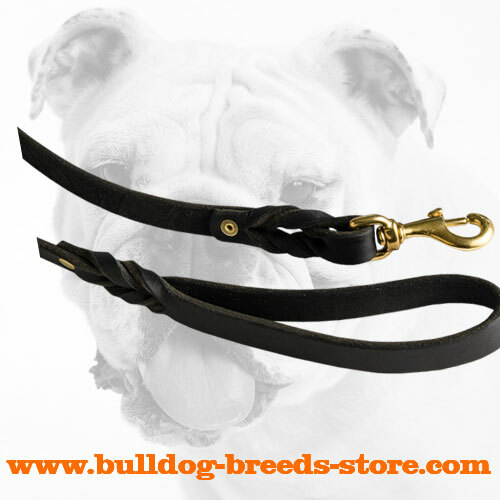 This leash has been designed by the professional manufacturers who took into account all the peculiarities of the Bulldog Breed. Please read the article to the very end in order to find out more about the features this implement possesses. 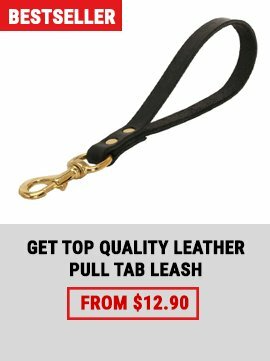 Why is this leash worth buying? 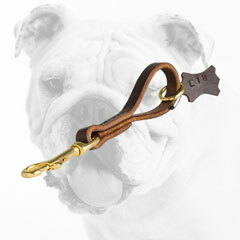 Made of the best high quality latigo leather, this leash will serve you for years to come. 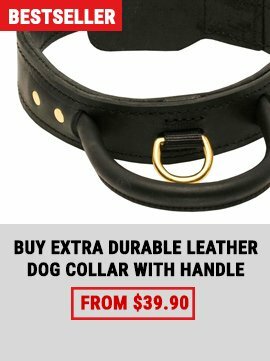 It is strong, durable and practical. 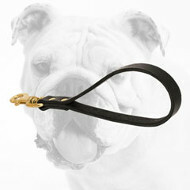 The braids on the leash are not decorations only. 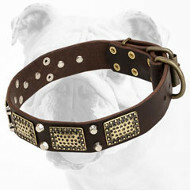 They prevent the leash from stretching when your Bully pulls too hard. 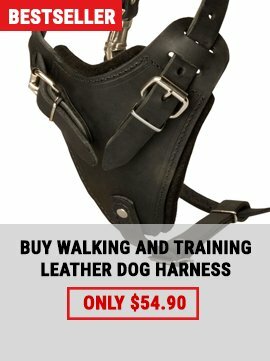 We intentionally braided the leash above the snap hook and beneath the handle because these are the very places that tend to tear fast in leashes. 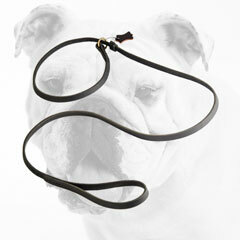 The braids will stretch a bit when your Bully pulls too hard, but then they will return to the primary position. 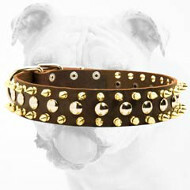 If you believe that this is the collar your Bully needs, place your order right away.